We’re nearing the end of our time in Washington, D.C. and we must say, we’ve been pleasantly surprised. By being in charge of pretty much most of our itinerary – with the exception of a few places, we’ve relied on our gut instinct and which restaurants/places just give us a good vibe. 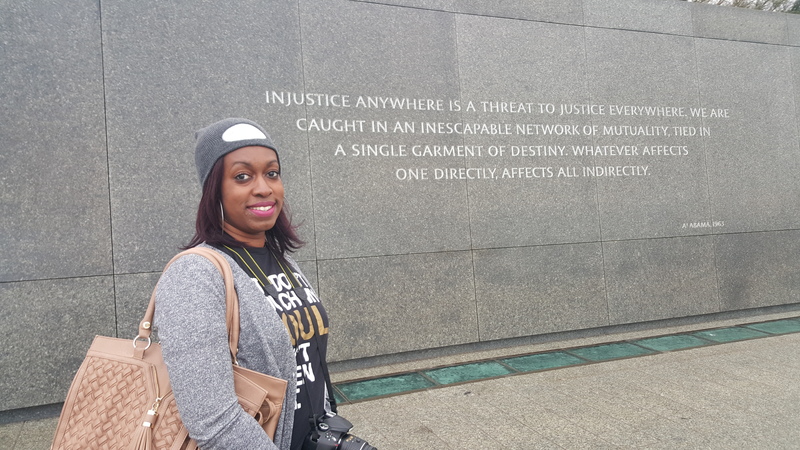 But if we could have a moment to be nostalgic, one of the most memorable places we’ve had the opportunity to visit was the memorial of Dr. Martin Luther King, Jr. And the timing couldn’t be more appropriate as we use today to recognize the legendary civil rights leader. 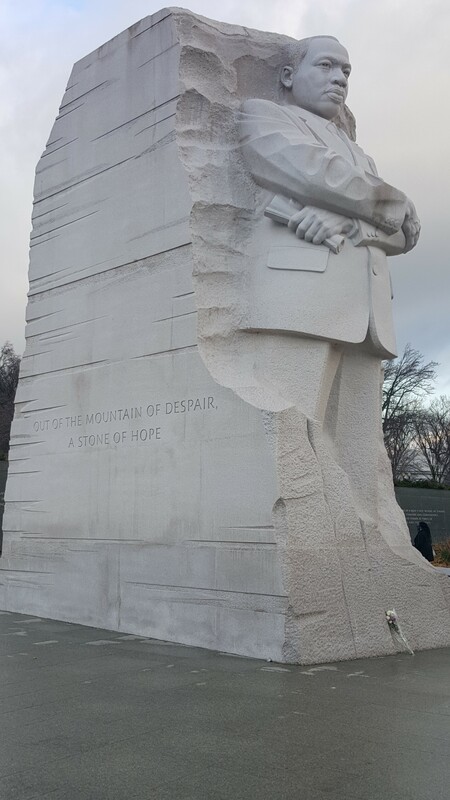 The MLK memorial in DC boasts a massive 30-foot sculpture of Dr. King, two pieces of granite representing the “mountain of despair” mentioned in Dr. King’s famed “I Have a Dream” speech and an inscription wall featuring some of his famous quotes. 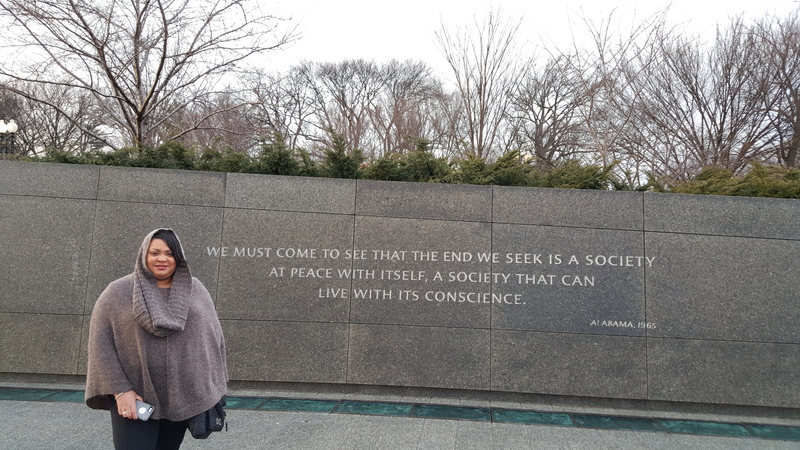 We each took photos next to the quote that most resonated with us. Read below and be sure to check back next week as we give our recap of our DC trip. Val: Life isn’t all about yourself; that’s an extremely selfish mentality. It’s important we care about not only ourselves and what directly affects us, but also our fellow man and community. Anything else shouldn’t be acceptable to us. Kim: I just want us as individuals, a community and society as a whole to treat each other with respect and value life.